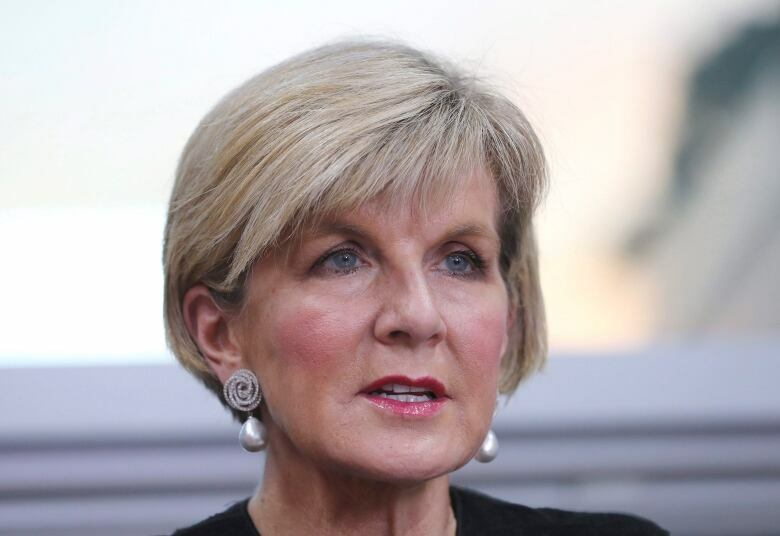 A spat between Canada and Australia is heating up as Australian officials signal they will block Canada's admission to Asia's premier security forum, the East Asia Summit, amid tensions over the Trans-Pacific Partnership trade deal. An Australian news report suggests that country's leadership has already rejected Canada's application to participate in the key forum because Australian trade officials were "gobsmacked" by Canada's behaviour on the sidelines of the Asia-Pacific Economic Forum (APEC) last week in Vietnam. 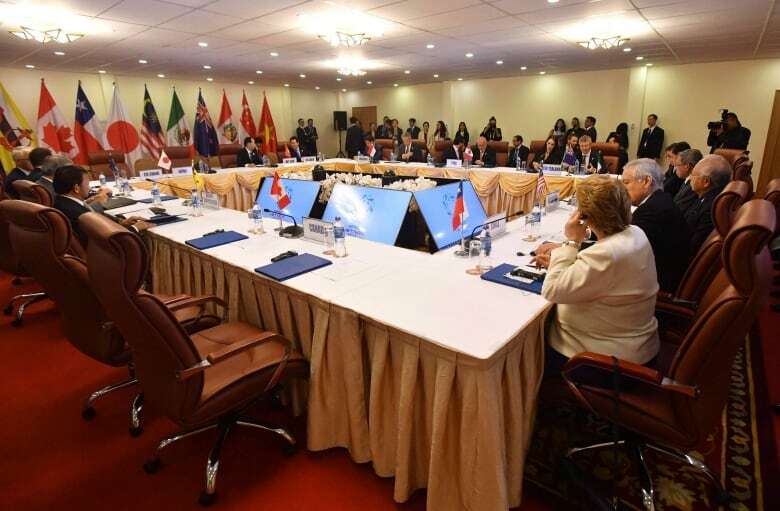 Prime Minister Justin Trudeau skipped a planned meeting with the 10 other leaders of TPP countries while in Danang because he said Canada simply was not ready to sign a deal that is not yet in the best interest of Canadians. Liberal government officials have refuted international reports — notably from Australian and New Zealand news outlets — that suggested Canada alone was to blame for "screwed" TPP talks. "We weren't ready to close it," Trudeau told reporters. Canada helped broker an agreement on "core principles," but held out on a final signature because of ongoing concerns, namely with chapters that relate to the trade of cars and measures to protect cultural industries. Trudeau made a pitch for EAS membership on the last day of his eight-day swing through the region. "Canada is deeply committed to multilateral institutions and [forums], and the East Asia Summit is an important one in an extremely compelling region of the world," Trudeau said. The summit's 18 members must reach a consensus on whether to lift a current membership moratorium and allow Canada to join, meaning opposition from Australia could torpedo Canada's efforts. A report in the Australian Financial Review cites a senior unnamed Australian official as saying that "EAS and APEC members are weighing up why Canada should be added to EAS following the TPP. Under Trudeau, Canada has increased its advocacy to join the EAS, but adding Canada is not on the EAS agenda." "He pulled out of the TPP at five minutes to midnight and then rocked up at the EAS like he belonged there," the official said. A Canadian official, speaking on background to CBC News, conceded there are ongoing "irritants" between the two countries, and Australian officials are likely lashing out at Trudeau in their national press because "they're frustrated" they did not secure Canada's signature on the TPP, a trade pact which aims to eliminate tariffs on industrial and farm products across an 11-nation bloc whose trade totalled $356 billion US last year. 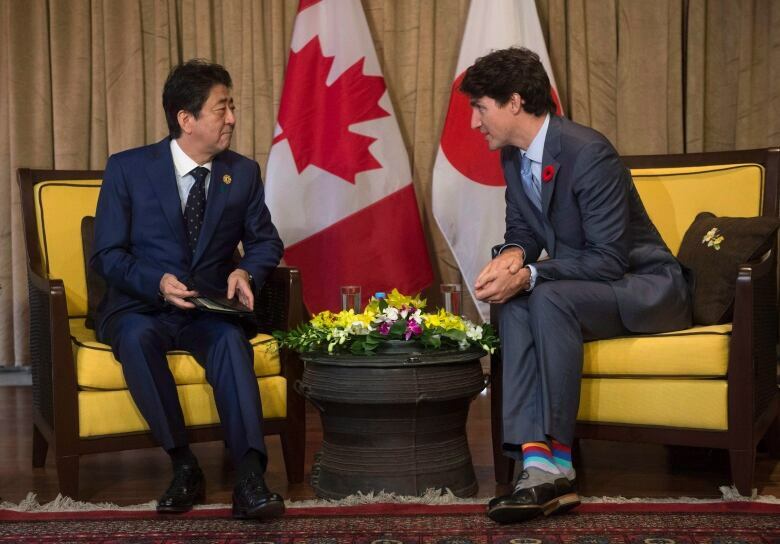 Japan, the largest economy in the TPP, is eager to sign a deal that includes Canada. It already has advanced trading relations with most of the other TPP partners, including Australia. 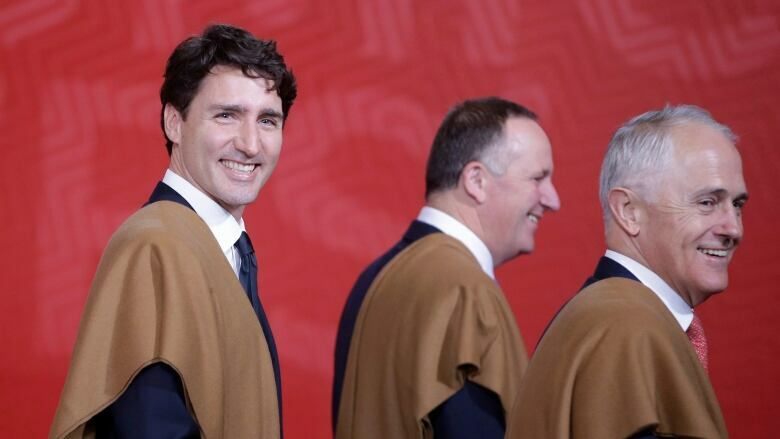 And yet, while Australia might seek to tie EAS membership to Trudeau's reluctance to sign on to the TPP, Canadian officials cautioned it is problematic to make a causal link between the two. The official said Australia has long opposed Canada joining the forum — opposition that existed before the TPP showdown — claiming the addition would "water down" membership, and admit a country it perceives as having tenuous ties to the Asia-Pacific region, despite Trudeau's insistence Canada is a "Pacific nation." "Before we even left on the trip, we were briefed that Australia might oppose our membership," the official said, adding the Aussies see the EAS as their "playground." There is a sense that Canada already enjoys membership in other high-level forums — namely, the G7, NATO and La Francophonie — in which Australia is not a member, the official said. There is a fear that adding Canada to the EAS might lessen Australia's influence at the summit — Canada would take up some of the "oxygen," an official said in describing Australian concerns — attended by some of the world's most powerful leaders, including those from China, Russia and the U.S. Australia already has to compete for attention at APEC, where Canada is also a member. In a statement sent to CBC News, a spokesperson for Foreign Affairs Minister Chrystia Freeland said Canada will push ahead with its bid for membership in the EAS and its sister body, the ASEAN Defence Ministers Meeting Plus. "Our participation in these security [forums] would expand our engagement with ASEAN and its member states, deepening our ties with an important and growing region.‎ We remain committed to working with our international partners to promote peace and security in the Asia-Pacific region," Adam Austen said. Erin O'Toole, the Conservative critic for foreign affairs, questioned whether Trudeau purposely sidelined our "democratic allies," like Australia, in favour of launching preliminary free trade talks with China. "The TPP talks were about counterbalancing the influence of China in Asia-Pacific. All countries were part of that when Trudeau complicated things by not showing up to the leaders meeting. Is he going to go to China in lieu of TPP?" Despite the squabbles over TPP, a Canadian official said the personal relationship between Freeland and her Australian counterpart, Julie Bishop, is "excellent," and they enjoyed a productive bilateral meeting while at APEC. That official said Australians are eager to tap Canada's knowledge of the U.S. Australia is looking to protect its free-trade agreement with the U.S. amid the ascendency of "America First" protectionist rhetoric emanating from the White House. Recent additions to the EAS — namely, the U.S. and Russia in 2011 — have altered the once-cozy dynamic of the summit, another senior official, speaking on background, told reporters while at the Association of Southeast Asian Nations (ASEAN) summit. That senior official cautioned Canada's campaign for membership is expected to last for many years, and there was never an expectation EAS member countries would simply welcome Canada right away. The Trudeau government has appointed an ambassador, Marie-Louise Hannan, to ASEAN countries — whose 10 members make up a majority of EAS countries — to help with its lobbying efforts.